We are a Paranormal Group based out of Cache Valley, Utah est. In 2013 doing Paranormal Investigations. We enjoy researching history, helping out our clients, showing our evidence and bringing them answers. Our services are free to anyone that needs to have their home or business investigated for paranormal activity. Gatlinburg Folklore is a blog that shares info on the legends, lore, and ghost stories of Gatlinburg, TN. Find out what sort of ghosts the mountain town of Gatlinburg is harboring. 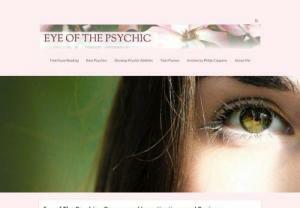 The Paranormal Mystery Social Network! Join us, make friends, upload pics, join groups and forums, create your own group and more! Explore paranormal mysteries. Interested in paranormal, lucid dreaming, astral projection, telepathy, etc. Discuss paranormal and supernatural subjects like 1111 and possible meanings of other number groupings. Paranormal Deliverance Spiritual Services offers deliverance from demons. Browse our online store and find an exorcist for casting out a demon. Conspiracy theory discussion forum. Topics of discussion include fringe science, aliens & UFO's, the paranormal, secret societies, cryptozoology, ancient mysteries, and a range of other alternative subjects. Not a mainstream venue.